The Commission published a timetable of its flagship tech policy programme on 6 May 2015, indicating that it would present at least six of its 16 priority issues by the end of last year. The executive has missed the mark on that timetable, but insists it will still present the rest of its 16 policy plans in 2016. Commission spokeswoman Nathalie Vandystadt said the executive is still “on track and expects to deliver our strategy by the end of the year”. Some tech industry lobbyists are frustrated by the setbacks. Two major legislative proposals on copyright and telecoms regulations were delayed several months and are now expected this autumn. Estonian Reform Party MEP Kaja Kallas (ALDE), author of the non-binding digital single market report backed by the European Parliament, said the Commission needs to pick up its pace. “The main criticism is about timing. Although the digital single market strategy was good and everybody welcomed it, all the specific proposals have taken too much time to come up with from the Commission,” Kallas told euractiv.com. The European Parliament will adopt its position on the Digital Single Market (DSM) strategy today (19 January). 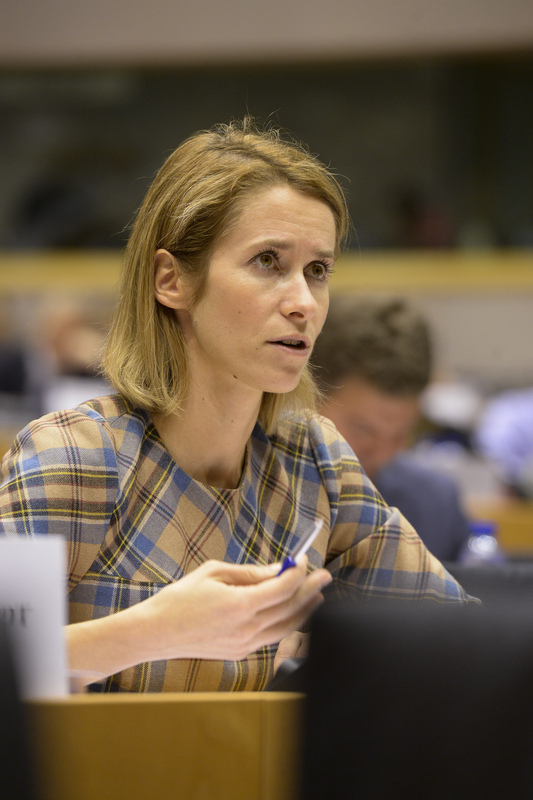 In an interview with EURACTIV, rapporteur Kaja Kallas warned that it would be a “mess” if the European Commission does not come up with its proposals in a timely manner. Despite their criticism about the executive’s sluggish pace, several lobbyists described the digital single market strategy as more focused than the Barroso Commission’s “digital agenda”. In 2010, former Commissioner Neelie Kroes introduced 101 digital policy points, which one lobbyist described as “almost impossible to follow”. Two major pieces of telecoms legislation left over from Kroes’ digital agenda have received a lot of attention in the last few months: net neutrality and the end of mobile roaming charges in the EU were passed last summer after years of negotiations. Internet companies have been gnashing their teeth over the European Commission’s concerns over online platforms. A leaked draft of the executive’s communication on platforms suggested the Commission won’t—or at least won’t yet—propose an ‘across the board’ regulation of all platforms when it announces what measures it will take later this month. The executive named Facebook, Google and Amazon Marketplace as examples of platforms. But the document also indicated that the Commission may take action in specific areas, including on how platforms use copyrighted material. Jakob Kucharczyk, director of CCIA Europe, an association that represents Google, Facebook and Amazon, called it a positive sign that the executive does not want to introduce a sweeping regulation of platforms. “But the jury is still out on how much this will deliver for businesses and for consumers,” he added. The European Commission’s interest in online platforms has ignited tense controversy and drawn accusations that the executive might be unfairly targeting American companies. Some lobbyists criticised the Commission for keeping them in the dark. While internet firms grew increasingly anxious about a potential regulation, it was never clear what companies and services would fall under the executive’s definition of online platforms. Agustín Reyna, who heads up the European Consumer Organisation’s work on the digital single market, said the executive’s public consultation on platforms last autumn was “messy”. “It was not clear what they mean or what the objective is. It’s like asking stakeholders, ‘What do you think about the internet?’ It’s very abstract,” Reyna said. Tensions are high ahead of the delayed proposals on copyright and telecoms regulations. 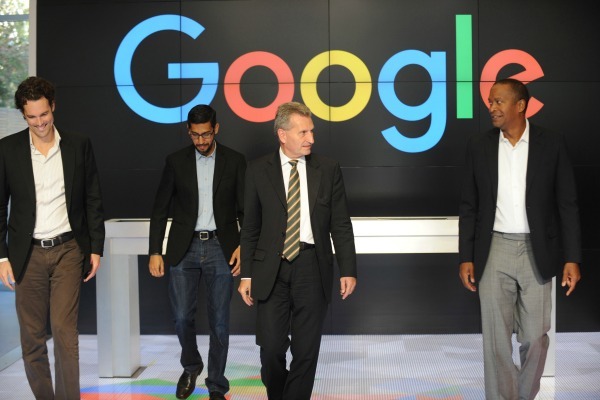 Digital Commissioner Günther Oettinger has indicated that he may include a so-called ancillary copyright law, or ‘Google tax’, in the copyright proposal. Oettinger’s native Germany, as well as Spain, already has controversial ancillary copyright laws that allow news publishers to charge online search engines to list their content. Joe McNamee, managing director of NGO European Digital Rights, called the Commission’s consideration of an ancillary copyright law “baffling” and said it would “add to the chaos of EU copyright law”. 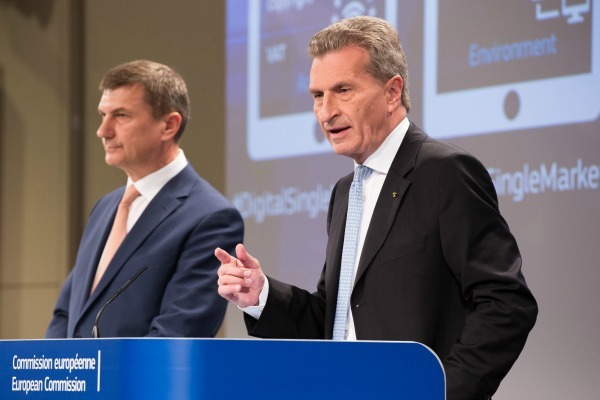 EU Digital Commissioner Günther Oettinger announced that the executive will propose its new copyright law in September or October. But, in the interim, ferocious debate is raging over whether it should include a controversial ‘Google tax’. In addition to ancillary copyright law, geo-blocking, the practice of restricting access to copyrighted content from a certain country, is another hot-button issue expected to surface in the Commission’s proposal. Commission Vice-President Andrus Ansip drew support from civil society groups and open access campaigners when he declared his “hate” for geoblocking last year. But companies in the audiovisual industry have protested that getting rid of geo-blocking and forcing them to make content available online across the EU would destroy their business. Several telecoms lobbyists told EURACTIV it’s still too soon to judge how the digital single market will play out for the industry. The European Commission pushed two proposals on telecoms regulations and the ePrivacy directive to the very end of the 16-point plan. Recently, the executive has flip-flopped on when it will propose changes to the seven-year-old ePrivacy directive, which created data protection rules that apply specifically to telecoms operators. One Commission official indicated that the proposal would come out in 2017, but the executive has since said the proposal will be in autumn 2016. 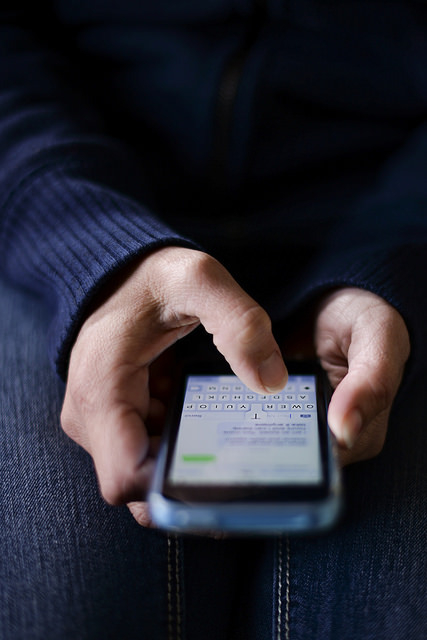 Lise Fuhr, director general of ETNO, the association representing large incumbent telecoms operators, said, “We support swift delivery of legislative proposals, especially around investment in connectivity and ePrivacy rules,” Fuhr added.